Kumho will have a major presence at next week’s (November 21-25) Solutrans, the annual international show for ‘road and urban transport solutions’ being held at the Eurexpo, Lyon, France. In addition to showcasing its existing wide range of truck tyres it will be launching a pair of brand new products – the KXT10 trailer axle tyre and the KCA03 pattern for city buses. Displayed in 385/65 R22.5 size, the Kumho KXT10 is designed for use on the trailers of both regional and long-distance trucks. The X in the name refers to the versatility of this multi-performance tyre, which has been developed to provide minimal wear and maximum traction. Its sidewall carries both the snowflake symbol (3PMSF) and M+S identification, and is therefore equally appropriate for summer and winter conditions. 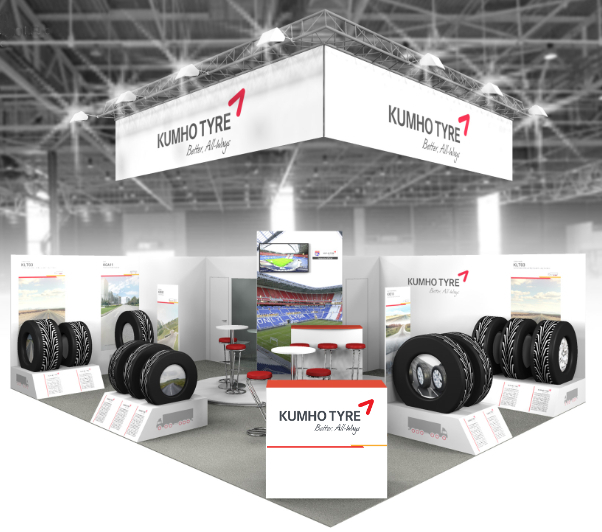 The Kumho KCA03 is a multi-axle product specifically designed for use on city buses and will be displayed at the show in typical 275/70 R22.5 size.